We’ve all been there. You’re driving on the interstate when your exit is next. You take it and merge onto the service road traffic. At some point or another, you had to yield to the right-a-way traffic (unless you’re driving in Mombasa! ), otherwise traffic chaos ensues. There’s too many people trying to go the same way! As I was running a few days ago, the word yield stood out to me. 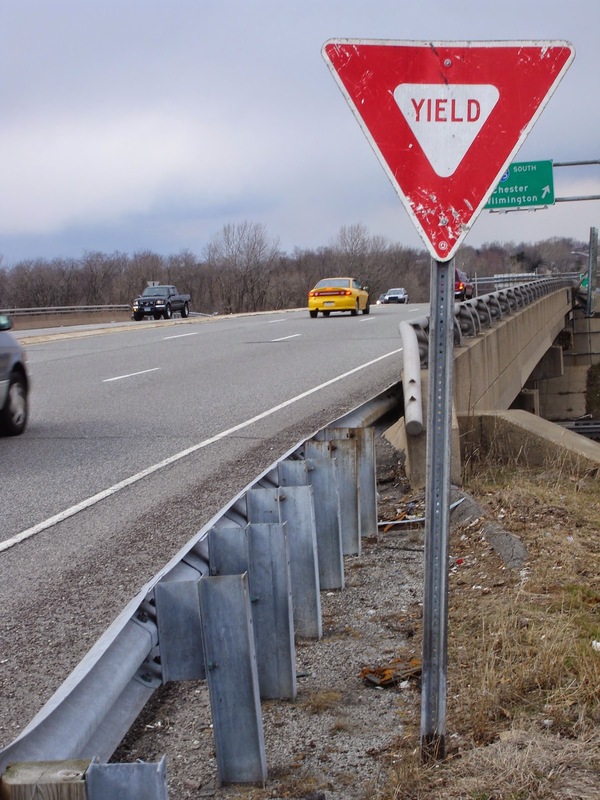 Maybe it was the sign in front of me, but I had this feeling in my gut to heed the word yield. Like taking an exit, maybe just by faith, and merging into God’s plan even it means running side by side with a lot of traffic. It made me tremble, for I don’t really LIKE that word. Yield doesn’t mean STOP, but simply allow the “right-a-way” traffic to go first. Am I allowing the Holy Spirit to have the right a way with me? Ouch! When Spirit and Flesh meet at an intersection, who goes first? At that moment I don’t have time to think about it. I can’t mull it over or pray about it, I must act… must take the exit! If I’ve been in the habit of obeying the small, soft prompting of God, I will obey Him here at this yield opportunity. However, if I’ve been in the habit of letting “self” go first, you can bet He will rush ahead. Even nature must yield to God’s design and in its time produces a beautiful return for a seed sown in the ground. We are each a seed, planted of the Lord for the display of His splendor. In order to grow crops, the gardener must take special care of his plantlings. He must water, feed, trim, weed and repeat the process with daily care. But even with the best of care, that seedling cannot grow without Mother Natures light and time. God is our Master Gardner, pruning us, feeding us, pulling the weeds away from around us so they don’t steal our nourishment. If only we will yield – yes, sometimes to His wind and rain. For in the morning we may be strong enough to lift our face high above the others, open our pedals and flower underneath the nourishing life-giving heat of His rays! Yield O my soul to Him. Yield, my friends to His design. It is a choice of the will. A merging of our will to His. But in time we will see and enjoy the beautiful garden He has planted!